Pictured: our student interns with Justin (left) and Jan (2nd right). 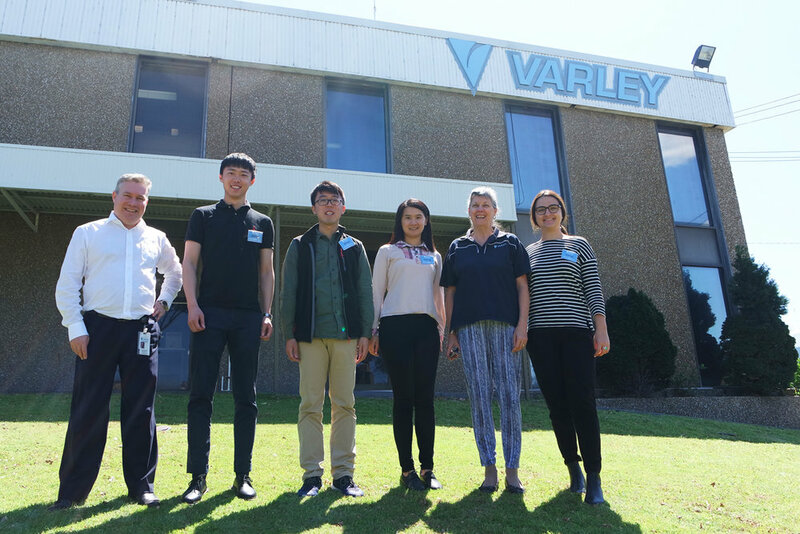 We have been delighted to host a number of university students undertaking study-related placements at our Tomago HQ recently. Qixang Zhang, Minghao Li and Yuechen Zhu undertook an internship through the University of Newcastle and the Performance Education Group – a pilot program for international students undertaking a compressed internship for business management. The group were set outcome-based research challenges and presented their conclusions back to Justin England (Financial Controller) and Jan Dobbie (HR Manager). In addition, Summer Leckey has been undertaking HR-related work experience with Jan over the past 4 weeks on a part time. Summer has both observed and undertaken work in assessing applications for advertised vacancies, lining up interviews, conducting reference checks and preparing employment agreements. All students were exceptional contributors to the business throughout their time with Varley and the collaboration was extremely beneficial for everyone involved. Our sincere thanks to Qixang, Minghao, Yuechen and Summer for their wonderful efforts. Visit our website Careers page for more information about our student internship programs: http://www.varleygroup.com/site/careers-at-varley.